DJ Mr Sparkle playing from 6-9pm. DJ Mr Sparkle at Osbourne Hotel this Sunday from 2-4 for Green House Sundays with some super cool old school edits and nu disco grooves! — at Osbourne Hotel. 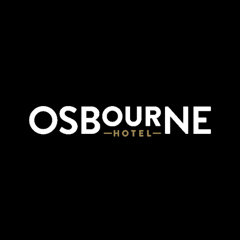 DJ Mr Sparkle at Osbourne Hotel this Sunday from 5-7 for Green House Sundays with some super cool old school edits and nu disco grooves! — at Osbourne Hotel.